Abstract. This paper describes how to specify, estimate, and test multiple-equation, fixed-effect, panel-data equations in Stata. 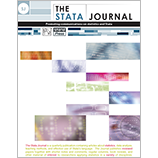 By specifying the system of equations as seemingly unrelated regressions, Stata panel-data procedures worked seamlessly for estimation and testing of individual variable coefficients, but additional routines using test were needed for testing of individual equations and differences between equations.